The Maison des Vins is a kind of tourist office dedicated to the wines of the region. They can give you a map of all the wine chateaux in the Bergerac area with details of opening times for tasting and buying as well as which chateaux provide tours of their vines and cellars in English. You can also taste some of the Bergerac wines in the Maison des Vins and you can learn a bit about the different scents and flavours you might be able to discern in the wine. Not to be missed is a visit to the 17th century Recollets Cloister which can be accessed from the Maison des Vins. The cloister is charming and sometimes has art exhibitions. Occasionally in the summer it is the venue for small concerts. The Maison des Vins is on the riverside on Rue Salvette. Note: there are also several 'caves' (wine cellars) that can be visited in Bergerac itself. This Bergerac museum, opened in 2003, features the sculptures of Greek sculptor Constantin Papachristopoulos (1906-2004). Better known as 'Costi'. He kindly bequeathed a great deal of work to the town, with the proviso that it be put on permanent exhibition. 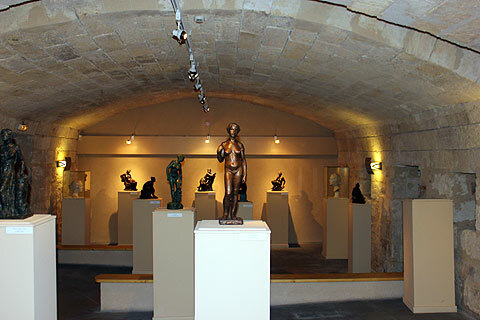 The work, primarily sculptures of people, is a fascinating collection established in an attractive environment in the old cellars of the presbytery. There are more than 60 sculptures in all, mostly in bronze or plaster. 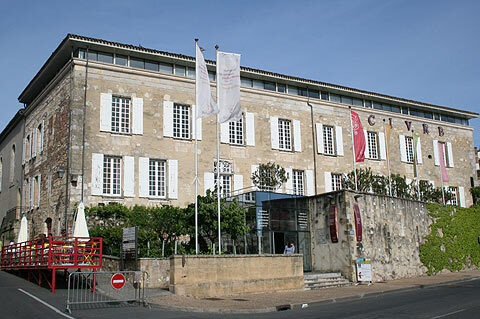 The museum can be found in the Presbytère Saint Jacques on the Place de la Petite Mission and is open in July and August, Tuesdays to Sunday 14.00-19.00. The museum is open from 1 April to 30 May, Tuesdays to Saturdays; and 1 June to 30 September every day. The museum is on Rue des Conferences. The unusual tobacco museum in Bergerac tells the history of the tobacco industry in and around Bergerac. 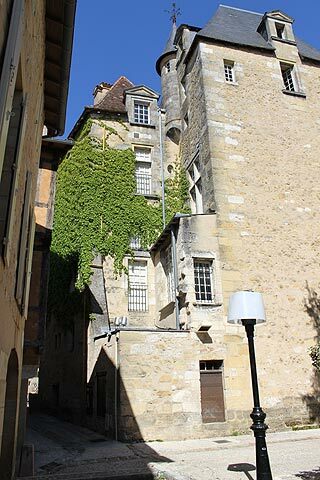 The tobacco museum is housed in the Peyrarède house which is one of the stars amongst Bergerac's many fabulous buildings. It was built in 1604 and has a beautiful tower and Renaissance mullion wiindows. The Tobacco Museum is on Place du Feu and is open Tuesdays to Saturdays all year and every day in June to September. Closed for lunch. This is a small museum commemorating the importance of the local resistance movement during the Second World War.